I’ve given up and rented “A Dance to the Music of Time” on DVD. Somehow I’ve not been able to make the time to read all 12 novels and I’ve had the books (condensed into four volumes) for a number of years now. I am slowly working my way through “Them.” The stack of unread books in my library and on my bedside table is threatening to darken both rooms as they loom ever larger. And yet, I buy more. Books are an addiction started early for this only child. There is simply no substitute that I find adequate in which I can lose myself. But with a 10 PM lights out policy (I need eight hours of sleep; although that is an ever-shifting target), there just isn’t enough time alone to make a dent. So, I’m just curious. I’ll live vicariously. 1. When do you read? Do you read before bed? In the afternoon? Commuting by rail? At airports? 2. What genre do you read and what are you reading now? 3. Who is your favourite author? This entry was posted in Living and tagged "Tender is the Night", books. Bookmark the permalink. 1) Whenever I can. Mainly in my study at home, but I will shut my office door at work and read on my lunch hour (hour-ish, I should say). 2) History, both fiction and non, plus Ian Fleming. I am a rabid collector of books on the British East India Company. I’m currently reading The Honourable Company by John Keay, The Ionian Mission by Patrick O’Brian and I’m starting Devil May Care by Faulks writing as Ian Fleming. 3) My favorite authors would be Fleming and O’Brian. However, next year, that may be completely different. 1) On planes or while waiting for them, in cars (not while I’m driving), before bed, first thing on Saturday and Sunday mornings before getting out of bed. A new favorite is before appointments. I’ve taken to leaving a book in my car/briefcase and reading waiting to get my hair cut, get the tires rotated, really anywhere you might be a few minutes earlier than required. 2) Fiction, either the classics or some of the sharper contemporary novellas. Have also fallen for some of the culinary biographies. 3) Favority author and guilty pleasure is the old stuff by Nelson Demille, pre-General’s Daughter; not really a fan of the suspense genre, but he lavishes a bit more of the page on character development and setting and less on car chases, or at least he used to. Also enjoy Jay McInerney, Henry James, Tennyson, Hardy, Elizabeth George, and many others. The pile of books on my nightstand seems to be threatening its structural integrity. 1. I usually read over the weekend or any stretch of time when I can really ease into a good book. Before bed is reserved for magazines (if exhausted) or poetry (if I am awake enough to concentrate, but not up for following a plot). 2. I read across most genres. I read a lot about wine and I also read a lot of fiction. Right now, I am rereading _And Then We Came to the End_, which was my favorite book from last year. 3. My favorite author is Nabakov. To write that well in your second language should not be legal. In reference to your post, have you ever read Nick Hornby’s _Polysyallbic Spree_? It’s a compendium of his “Stuff I’ve Been Reading Lately” column. In the column, he writes almost as much about books purchased and not yet read as he does books he actually completed. 1. Like Turling, whenever I can. Lunchtime at the office (especially if I can keep myself away from my blogfeeds), evenings after work, weekends. My wife and I recently took a week-long vacation where we spent about half the time going around seeing things and half the time sitting and reading. That was nice. 3. Favorite author is the late Austrian historian/journalist/novelist Erik von Kuehnelt-Leddihn. 1. I read whenever I can but just before bed seems the best time of all–I look forward to going to bed early and reading! Like Athenaeus, I hate being caught with time on my hands and no reading material so I usually carry a tote bag along with my purse with books, a notebook and Sudoku! 2. I like fiction but it’s hard for me to find novels worth reading (when I do they’re usually mysteries a la PD James or classics). So typically I read non-fiction: biographies and books on fashion or travel. Right now I;m on the 2nd book of the trilogy “Kristin Lavransdatter.” the translation is old though and I’ve heard there’s a better, newer one, so I might re-read the first book again. 3. Hemingway (despite his misogyny), Jane Austen, and Flannery O’Conner. I read before I go to bed and almost any spare moment the boys will allow before. I’m perfectly happy reading for 10 minutes or 4 hours if it’s a rainy Sunday. My only problem with reading before bed is that it tends to keep me up rather than put me to sleep. And, I read everything. Fiction, non-fiction, mysteries, biographies, anything. The only thing I have recently discovered that I never enjoy is historical fiction, ick. My oldest son and I have an agreement that we will read anything the other recommends. This allows me to sneak in a few a my favorites; he in turn has introduced me to Anthony Horowitz, whom I adore. Fitzgerald – and I am a envious, tragic, wreck over the book jacket. My, I do seem to be going on and on lately. This is timely, however, as I was just going to email you to ask you if you had a favorite Churchill biography. 1) When-ever I can, what-ever I can. I can’t sit still and not read something. I can’t even watch most TV, without reading. I always try and have something to read in the car for long lights and traffic jams. 2) Biographies, fiction, mysteries, design books, cook books, cereal boxes… I am reading an interesting book called Dinner at Buckingham Palace, the old kitchen diaries and menus from the collection of someone who was in service to the Royal Family from Queen Victoria’s time to HRH QE II’s early years. The notes languished in a box for decades and they and many pictures were recently published. 3) Lots of favourite authors, depending on what I am reading! 2. I follow Fairfax in reading almost everything but agree with Mrs. B re: historical fiction, also don’t like science fiction (but grant complete waivers to two of my favorite childhood books, The Witch of Blackbird Pond and A Wrinkle in Time.) At year’s end, in looking over my list find that non-fiction usually trumps fiction (in numbers). Try to have some of my reading be seasonal. For example, in February (Black History Month) I read a book about civil rights, etc. Read Cornell West this year. In March I read Irish history. In July, American history, policy or politics. 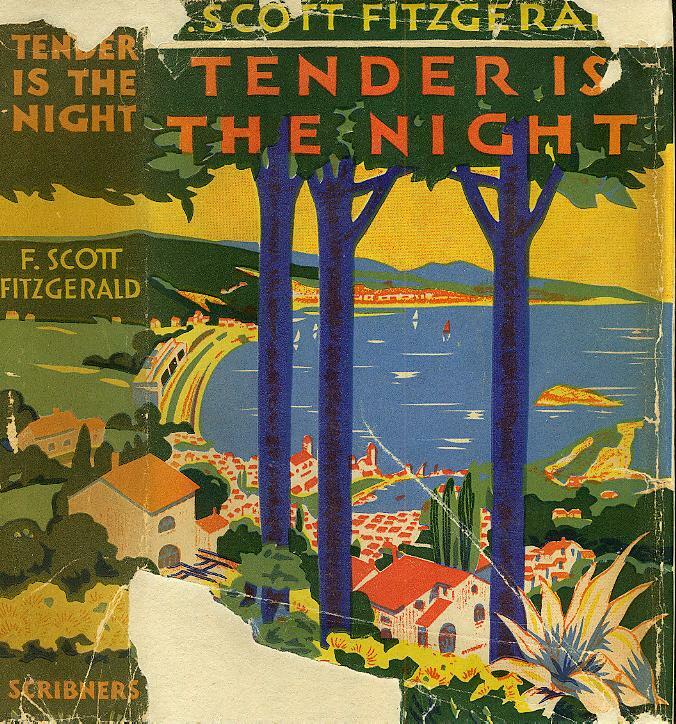 Every August I re-read Gatsby — and, pursuant to your reminder in a previous post, have followed that up this year with “Tender is the Night,” which I hadn’t read since college. (It’s wonderful by the way, but you knew that.) Also try to have locale-complementary books for travel. Although I’ve never lived in the South, maintain a collection of Southern cookbooks that provides a virtual visit whenever — as do design books on great English and American country houses. 3. Lots and lots of favorite authors across many eras and genres – in no particular order: Fitzgerald, Capote, Cheever, Waugh, Flannery O’Connor, all things Mitford, Forster, Hardy, Austen, Virginia Woolf and Tobias Wolff, George Eliot. Re-read my idiosyncratic favorites regularly: novels and stories of Ellen Gilchrist (centemporary Southern novelist) and the Diary of a Provincial Lady series (British/largely between-the-wars) and other novels by E. M. Delafield. Consult my favorite poets with frequency: Keats, Eliot, Arnold, Yeats. New favorites (to me) are Jhumpa Lahiri and Anne Fadiman. Highly recommend a recent read as a perfect near-end-of-summer treat: The Big House: A Century in the Life of an American Summer House by George Howe Colt (actually Anne Fadiman’s husband) — story of his family’s summer place in Maine, provides another rich virtual visit. Thanks for your inquiry — it was fun to think about books in this way. Last word (I promise): A friend has read Powell’s A Dance to the Music of Time through at least four times and listened in book-on-tape format at least as many times. Much to his disappointment I haven’t managed to get beyond the half-way point in the first book. Some day. I love to read when I can. If I love the book, I will stay up til the wee hours or if not, then I fall asleep. Love to read on the beach or at the airport. I used to read right before bed, in bed. But we’ve got a four month old in the house now, so I read when she naps. In addition to myriad magazines, love biographies (even better if they are unauthorized) of highly successful people. I’m also a huge fan of anything geard towards entrepreneurs and independent wealth generation. But I enjoy a good fiction book to blow through in between more serious topics. I just finished Richistan and Deluxe…now I’m reading a fluff book for fun. Next up: Eat. Pray. Love. Glad the book jacket came in handy. Love your choice. 1. When do you read? Do you read before bed? In the afternoon? Commuting by rail? At airports? Answer: Anywhere I can put in a few pages, though I cannot read in a moving automobile. I become dreadfully queasy. Trains, however, seem not to bother me. 2. What genre do you read and what are you reading now? History and nonfiction. I think I’m going to begin rereading Cecil Beaton’s unexpurgated diaries. They are bliss. 3. Who is your favourite author? Oh, such a cruel question. But I will submit Nancy Mitford and Henning Mankell. A follow-up to Aesthete’s comment: Nancy Mitford’s novels are so wonderful (haven’t read her non-fiction) – just now as I wrote this thought of “the bolter”…just about any one of her books will do when in need of a Mitford fix. (New insights gained into Nancy the person from reading “Decca” – Jessica’s letters.) I have old paperbacks of Nancy Mitford’s novels, but would love to land proper hardcovers (reading copies, not firsts) as I’ll no doubt read them again…and again. Recently read Beaton diaries 1939 – 44. In a word — wonderful. Think I should go back and take on diaries in order. Have twice this summer read “Ashcombe: The Story of a Fifteen-year Lease” — my introduction to Beaton’s writing. Impossible to overstate my enthusiasm for this book — pure magic. Ohhhh. I forgot that I got copies of the CB Diaries at the Book Thing last year. They’re the re-issue. I should start reading them! Book Thing is truly Book Heaven—the serendipity of finding some of the things you’ve written about here and on your blog! Actually Heaven may be a misnomer in that it sounds like a lot of readers would sell their souls for some of your finds—myself included. 1. On the train each day to and from work; late, in bed, before going to sleep; on weekend afternoons when the opportunity is there. 2. Currently reading 1 non-fiction (“The Structure of Evolutionary Theory”) and fiction (“Quicksilver”). 3. I don’t have a favorite author, but do have a favorite work of fiction, which is “A Dance to the Music of Time.” I finished the last of the novels this past winter, and would definitely encourage you to soldier on, if you are not yet through the end of the 3d novel into into the 4th (if they have not hooked you in by then, they may not be your cup of tea). By the last 3-4 books, it was getting harder to motivate myself to read – not because I was getting tired of them, but because I was so sad to think they’d be over. Hello Rob, thanks for the words of encouragement. I often feel that way about books myself. My resolution is to make more time for reading. “A Dance” will definitely require it! I think I’m just about in the right state of mind to begin. 1. Generally I read on airlines, trains and while waiting for people; I must confess that during the latter situation, I always attempt to ensure my reading matter is one of the old Penguin paperbacks, for aesthetic reasons. 2. I read anything and everything, but mainly the Russian classics, and of course the Bible, King James for preference. 3. Favourite author would probably be Mervyn Peake or China Mieville; both are authors of several verbose, Byzantine fantasies. I’m an opportunistic reader – the secret is to always have a book handy at all times, which sometimes requires reading a few at once to ensure you have something small and light if the situation calls for it (e.g. my current read: Mr. Blandings, which I have seen many times but never read). I did read “Dance” by cracking each novel at the beginning of summer over the course of 12 years. For many of the books, I was about the same age as the protagonist and could relate to many of Powell’s insights. Mostly I read non-fiction (a lot of law and government, which is job related), but when I read fiction, I prefer lighter comedies in the summer (Wodehouse, Waugh) and heavier stuff the rest of the year (Louis Auchincloss, Herman Wouk, Ward Just). I’d recommend The Rector of Justin, Winds of War, and Echo House by them respectively. I’m also partial to historical fiction, mostly O’Brien. Haven’t heard of Ward Just, will have to look him up. Thanks.